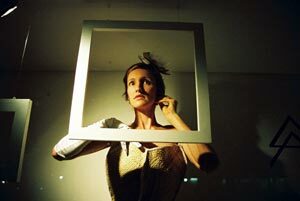 Dance company Polytoxic collaborates with visual artist Chantal Fraser to create a live installation, 'framed', in the window of Raw Gallery Space. The work presents an interaction between object and performer to create evolving and constantly moving images within frames. A minimalist aesthetic layers natural textures against smooth white surfaces to foreground the detailed elements of both the movement and the design. 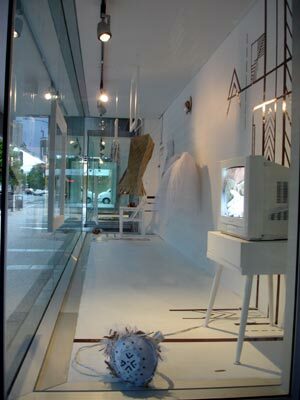 The work explores the idea of framing - objects within the space are framed and re-contextualised by the performers, who are themselves framed within the confines of the window. This positioning creates a sense of physicality in the objects presented, highlighting meticulous process and the object’s transformation from the static into the tangible through performer interaction. Drawing on a range of sources, the work merges aspects of the Pacific islands with references to contemporary cultures and subcultures. Picture frames connoting 'high art' from a western cultural perspective are juxtaposed against visual and movement motifs drawn from the islands. Intricate hand gestures combine with the held stature of european court dance, and costuming created from traditional 'fala' mats become stiff bustled skirts. This juxtaposition is echoed and reinforced through the presentation of objects created by Chantal Fraser, whose work recontextualises the traditional and ordinary from a Western/Pacific sub-culture, highlighting the banal experience as the extraordinary experience. This collaboration is a continuation of an ongoing dialogue between Polytoxic and Chantal that has evolved over the past year and saw them work together on the recent Contact Inc. community cultural development performance work "Da Hope Tour" presented at the Queensland Performing Arts Centre.